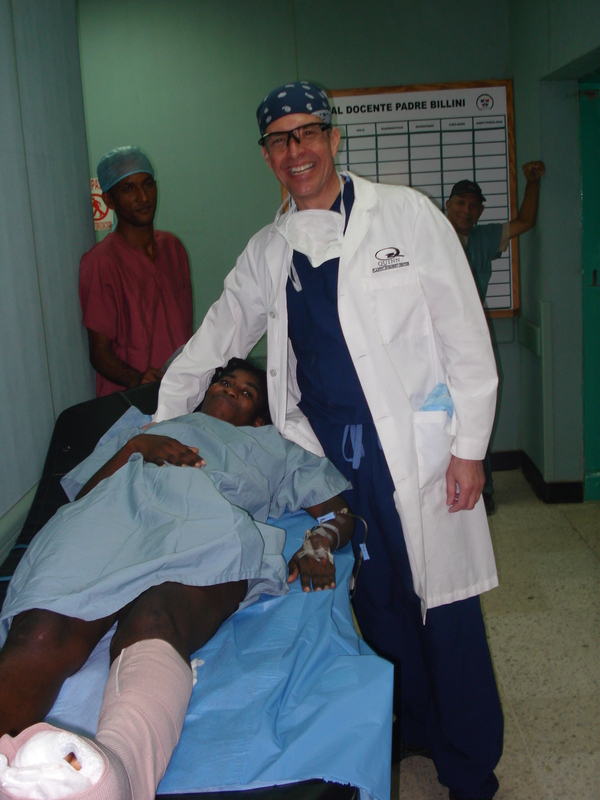 Dr. John Michael Quinn of Quinn Plastic Surgery Center and Medical Day Spa traveled to the Dominican Republic, next door neighbor to Haiti, for his 22nd annual mission trip with the MACLA organization. "We operated on [two] Haitian earthquake victims today. Both had open crush injuries to their legs requiring skin grafting. Their surgeries went well and both will be transferred tomorrow to hospitals closer to their homes. They both spoke only the Creole language, and we were fortunate that the family of another quake victim, who was being treated for kidney failure, came to our rescue as interpreter. They were both incredibly trusting, grateful, and stoic throughout our time together considering they were in a land far from home where very few spoke their language, and were undergoing major surgery." This is just ONE of the heart-touching stories that Dr. Quinn will bring back to Kansas this year. Quinn returns from his trip on February 14, 2010. In the meantime, he blogs from the operating room at http://www.quinnplasticsurgerycenter.wordpress.com. Dr. John Michael Quinn is a board certified plastic surgeon operating out his practice, Quinn Plastic Surgery Center (http://www.quinnplasticsurgery.com), in Overland Park, Kansas.